OK so I am milking it trying to make it til next week when I get the immobilizer off my arm. Still these are nice projects. 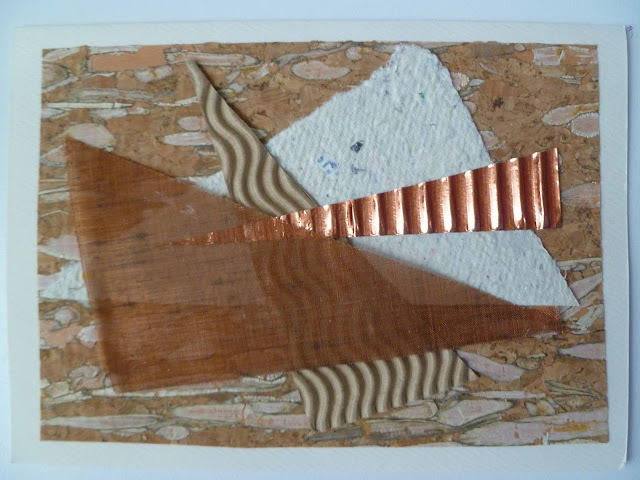 These are 2 of 3 cards I made when I lived in Portland (Maine) 16 years ago. I have already sent on to my cousin who had heart surgery and these two will be going to Little Rock too. Aren't they nice? 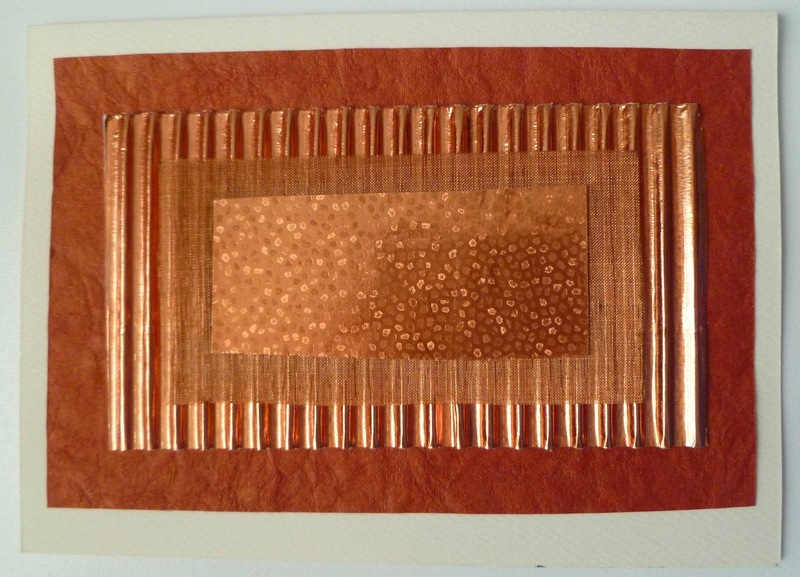 This one has a leathery look paper with corrugated copper foil, copper wire mesh and embossed copper foil. This one has thin cork, hand made paper, curvy corrugated paper, and corrugated copper foil. I like your ideas, very interesting! combinations of different materials and textures look great. i think it's nice to give new life to our art from the past...immobilizer off, Yay! They're gorgeous. Glad you're getting the immobilizer off next week.